Mrs. Bokhari, standing in the lobby of a high rise on the edge of Waterloo, ON, is mother to Denez (21), whom my colleague Stephanie and I do not want to make late for work. 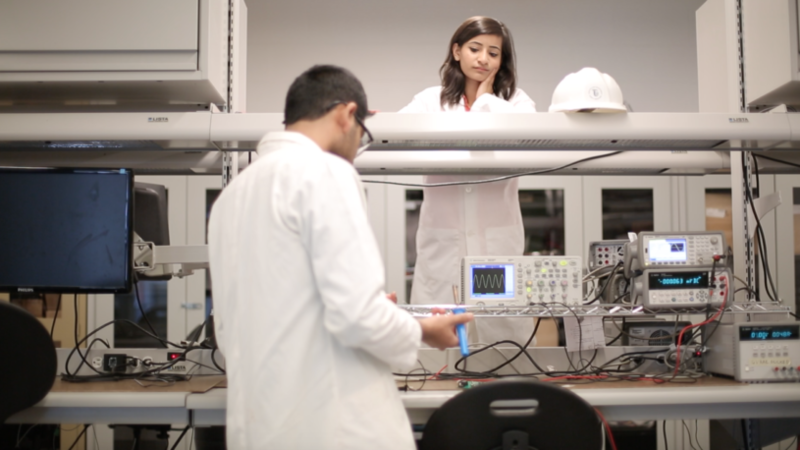 We assure her that we are well caffeinated and follow Denez to one of many University of Waterloo labs, where she spends most of her time as a biology student studying medicine. Last fall, Denez and other members of Team TeraBio Solutions (TBS) were awarded $15,000 from the MS Society as winners of Hack4Health, a 2-day hack-a-thon (technology focused brainstorming session) at the University of Waterloo aimed at developing new technology for managing the symptoms of multiple sclerosis. Vice president of research Dr. Karen Lee and her research team were there to select which project would be further developed into real-life technologies. And today Stephanie and I are in town to check in on their progress and get to know the team of young students who are so passionate about the work they’re doing. 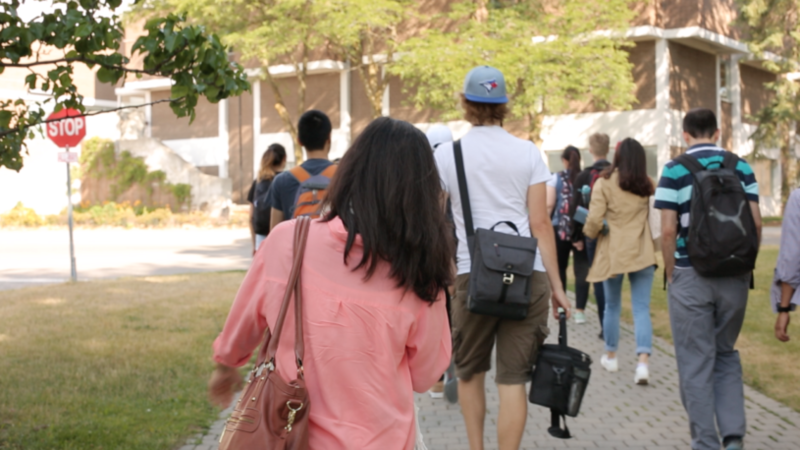 So with our cameras focused on her, Denez hops on a bus to campus and starts telling us about her recent trip to Lahore, Pakistan, where she was born. 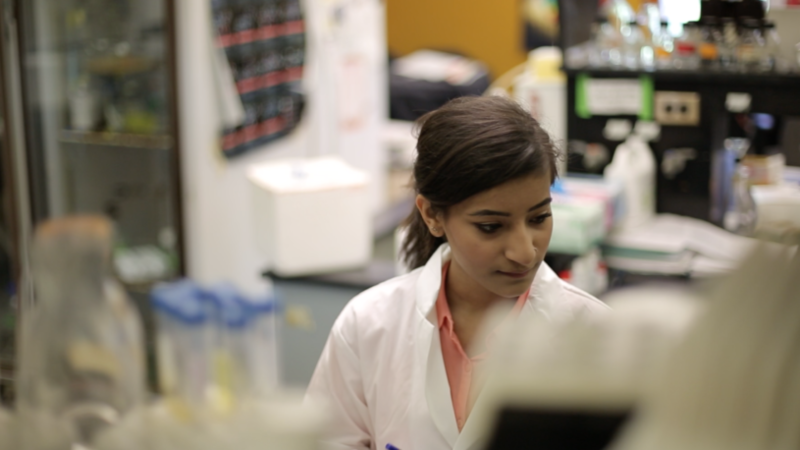 When we arrive, the campus is buzzing with students, and Denez, who is studying Biomedical Sciences at University of Waterloo, but is working full-time in a research lab over the summer, takes us to the lab where she assists a PhD candidate in investigating and trying to understand the regulation and mechanism of Nitrogen Oxide Synthase, which is involved in a variety of serious pathophysiological processes including septic shock, atherosclerosis, diabetes, as well as myocardial and cerebral ischemia. She flips on the lights, throws on a lab coat, ties her hair into a pony tail and changes her heels for flats. Besides Steph and I, Denez is the only person in the lab. She flies from Bunsen burner to ice bucket, performing the experiments she needs to complete before she can switch gears to work on Team TBS’s tool: an app that will track some of the many facets of living with MS. Team TBS’s project, which was conceived at Hack4Health, has evolved into an app for people living with MS, engineered to work with existing wearable technology. The app will track things like symptoms, temperature, heart rate, medication, sleep patterns, and more – and transfer that data seamlessly to a healthcare team who can then personalize care based on the person’s experience of MS. The team describes the app like a journal that is always with you, recording your journey with MS. 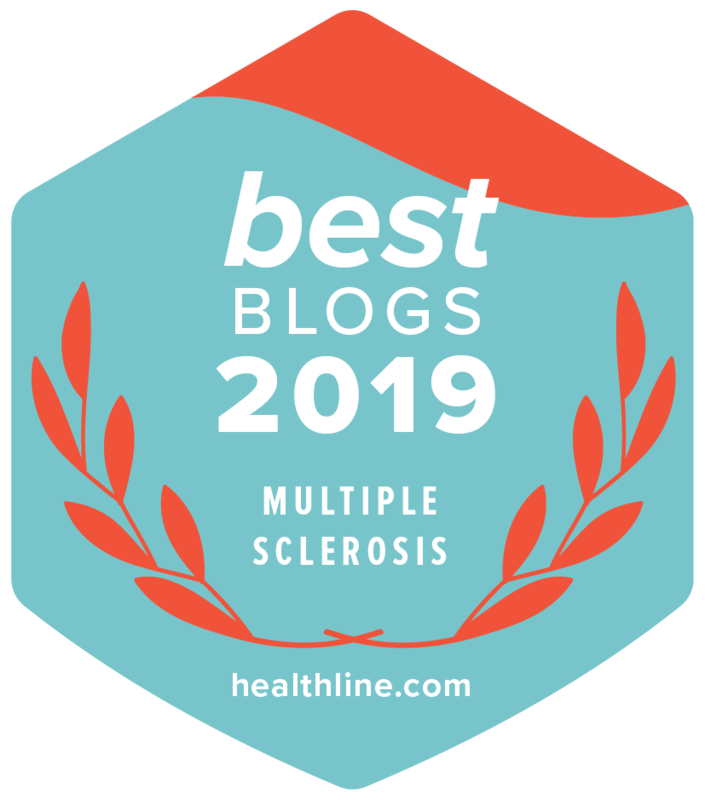 The team developed the concept after series of meetings with people who live with MS, neurologists, MS Society staff, and the vibrant tech community in Waterloo. The app is also developed with the results of the MS Society’s 2015 Wellness Survey in mind. She takes a seat in front of the cameras, and fellow Team TBS member Inzamam teases her as for not being able to attach the microphone to her collar. “These things can be tricky,” I assure her as Steph offers some assistance. 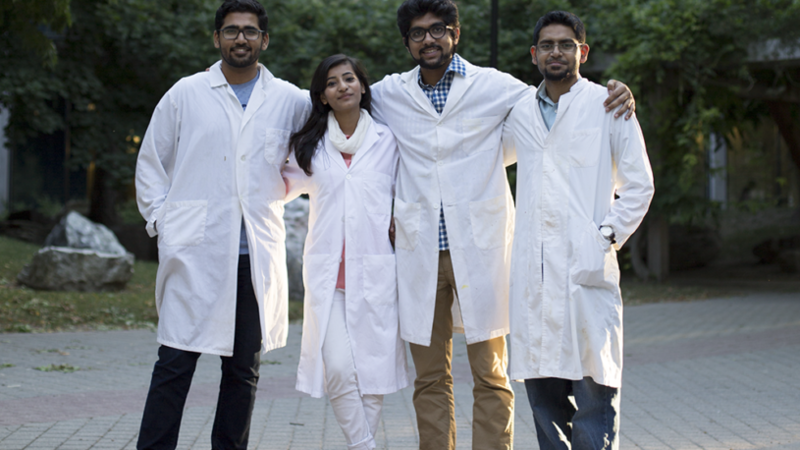 Denez, who is the only one studying science on Team TBS, is often outnumbered by the other three students who all study engineering. But as we begin the interview, Denez’s leadership skills are clear: she views the project through a scientific lens, and she’s able to challenge concepts that may otherwise be taken for granted. We want to see the app in action, so the team bring us to another room filled with computers, equipment, prototypes, and whiteboards. The team continues to workshop some of the challenges they are having with the design as Denez models the wearable device and gives us a test run. She outlines how the end user would benefit and mentions how it will make life better for people affected by MS while making the job of their doctors easier and more precise. Steph and I ask if we can go outside to capture one last group shot, and the team politely agrees to take a break from their work. They bring us to the most beautiful garden on campus, don lab coats, and give each other high fives. Even after a full day of running around, they aren’t tired yet. We thank them and shake hands as they point us back to where we left our car a long 14 hours earlier. And as we let them get back to work, Steph and I are both confident that our peers on the MS Society research team and the review panel of tech experts, scientists, health professionals and people affected by MS who were brought together to evaluate the project, definitely selected the best team of young minds for the task. The app is still in development and will undergo many more weeks of strenuous testing and prototyping before it is ready to be submitted into the Google Play and iTunes marketplaces, a process that Team TBS isn’t shy about noting can often come with its own series of hurdles and delays. Still, the team is confident we will see it online in spring 2017 – ready to sync with your wearable device and start providing healthcare teams with the info they need to make your quality of life better. Until then keep checking in here on our blog and over at Dr. Karen Lee’s blog for updates from Team TBS by searching for Hack4Health.